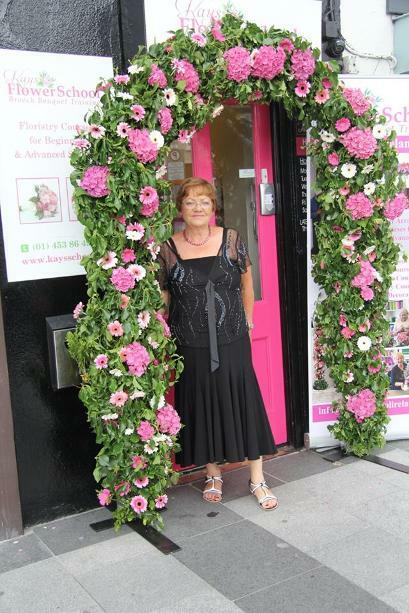 Kay’s School of Floristry was established in 1987 by Kay O Rourke who had been running the highly successful Kay’s Florist in Rialto, Dublin 8. Kay found it increasingly difficult to employ commercially trained florists at the time and being too busy in the shop to train them, Kay’s School of Floristry was established upstairs over Kay’s Florist on the South Circular Road in Rialto. Initially Kay started out delivering courses on Sundays and in the evening times when the flower shop was closed but as her reputation grew, so did the demand for more course. In 1989 Kay sold Kay’s Florist and along with her daughter Janette, who had already established her name as one of Ireland’s top florists and had travelled all over the UK , Holland and even Israel learning new techniques & skills. 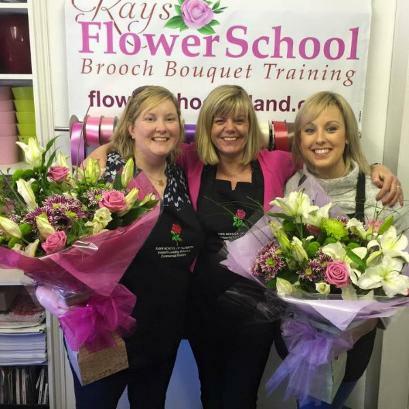 Kay’s School of Floristry became the only full time Flower School in Ireland dedicated to training florists nationwide. 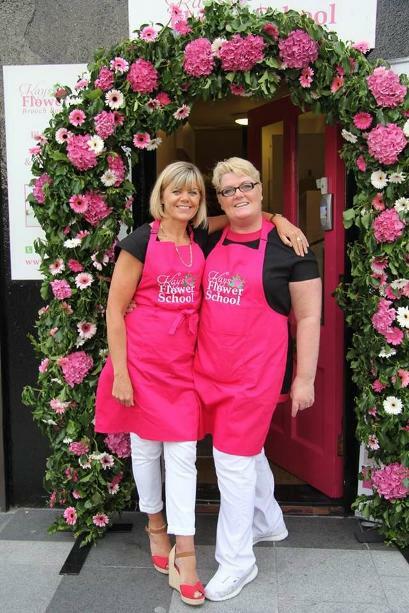 For the next 20 years both Kay & Janette trained florists and their staff and built up a reputation for delivering commercial, professional training, showing their students all the trade secrets and professional tips and providing exceptional value for money. As Kay’s School of Floristry was not connected to any flower shop or flower wholesaler, they could be open & honest to their students when offering advice and recommending the best and cheapest suppliers to suit their needs. In 2010 Kay decided it was time to retire. Thankfully her other daughter Deirdre who also trained as a florist in the family business but ventured into the beauty industry by running her own beauty salon for 10 years was now working in Adult Education Sector and was at the top of her field in training & education, returned back to her roots, bring a new dimension to Kay’s School of Floristry. 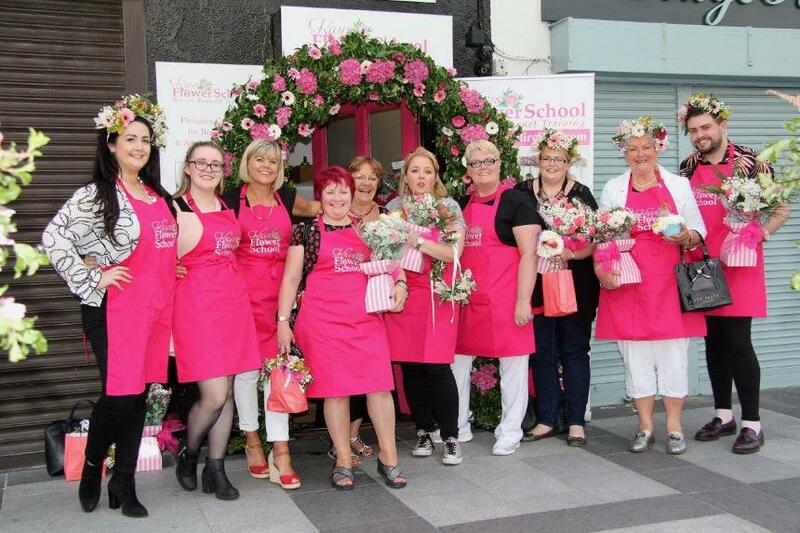 In 2012 and to coincide with the fast developing digital era, Deirdre who had also trained in social media and digital studies, decided with Janette that Kay’s Flower School would be re-branded and re-launched and establish their social media presence. They even developed Kay’s Online Training platform which they are adding to as much as they can. In October 2015 Deirdre unfortunately was diagnosed with Breast cancer and had to take a step back, but thankfully Kay was ready and willing to come out of retirement and step back into the School. Like a duck to water it was like she never had left. Deirdre still came into the school during treatment; she says it’s what got her through a horrible time for her. In August 2016 Deirdre Finished her treatment and Kay was only too happy to retire again, in saying that she is always on call and comes in whenever we need her. Deirdre says that they could not manage the school without the help of their Mum Kay and Dad John. Kay’s Flower School is now recognised nationally as Ireland’s leading commercial flower school and is very proud after all these years that 80% of the flower shops in Ireland have either trained with them, have sent their staff to train with them or have taken students from Kay’s School to work in their flower shop. Kay’s Flower School International status is growing constantly with students travelling from all over the UK and further afield to train at this renowned flower school. Hen Parties are now very popular event for Kay’s Flower School with Brides booking Janette & Deirdre to entertain their friends making Flower Crowns, Flowery Cocktails, and Flowery Cupcakes etc. Brides need to book these at least 4 months in advance to get their preferred date. Courses at Kay’s Flower School are ongoing throughout the year and the Course Calendar on their website is updated regularly. Some of the courses are eligible for funding through the Department of Social Protection and also Skillnets. Full details of all the Courses and Classes can be found at www.flowerschoolireland.com, by emailing info@flowerschoolireland.com or by phoning the school on 01 453 86 49. 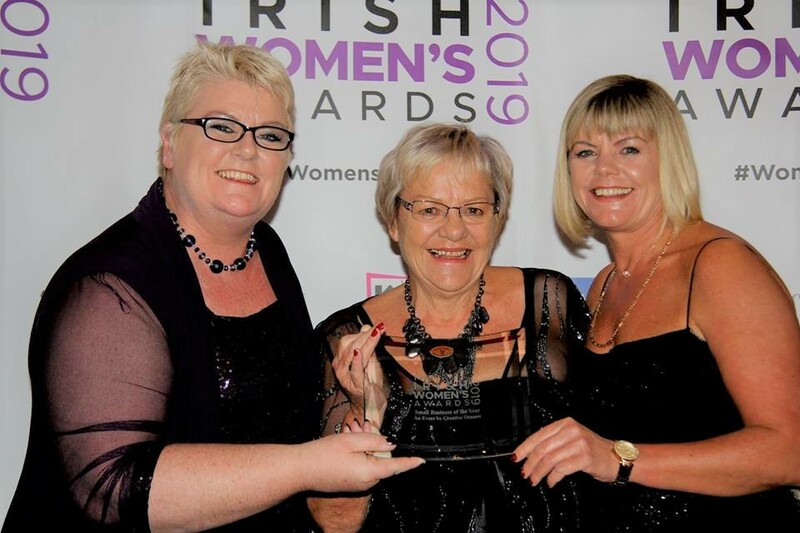 In January 2019 Janette & Deirdre were awarded Small Business of the Year by the Women in Business Awards. Having been in business for over 30 years and trained some of the top award winning florists in the country, Janette said words cannot not explain how honored they were to receive this award &Deirdre mentioned that it was amazing to receive the recognition of many years of hard work.